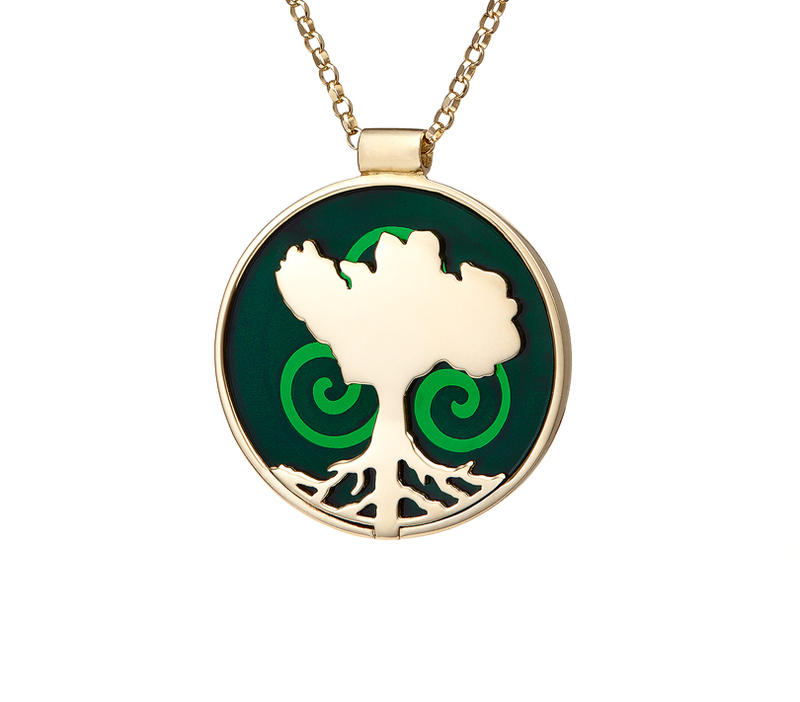 Growing Home Pendant – Handcrafted in 14ct Yellow Gold. 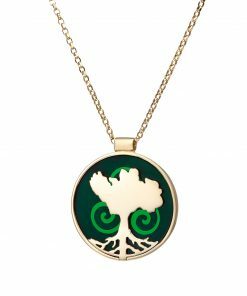 Rotate the piece anti-clockwise and watch as the strong tree image becomes a map of Ireland. 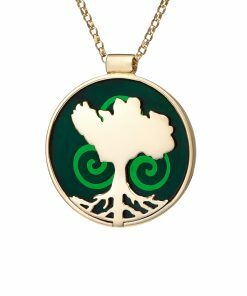 The Growing Home pendant is meticulously handcrafted in 14ct gold with love for Irish roots, history and folklore. 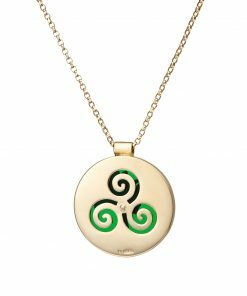 This Growing Home pendant is made with a very special translucent material* that allows the light to shine through the piece to reveal Celtic spirals (triskele) that feature at the back of each piece. 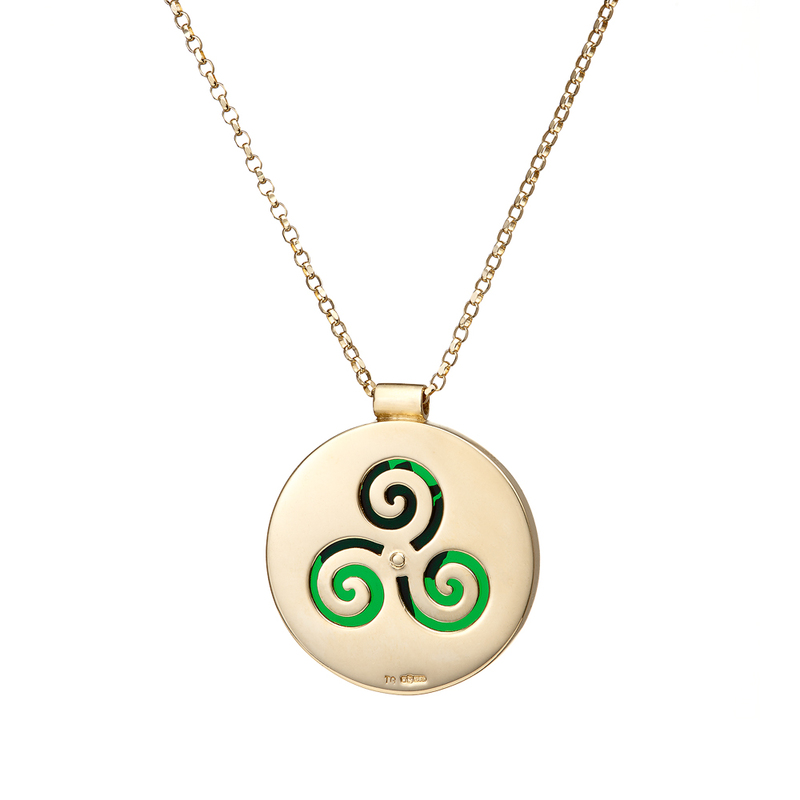 It comes in two color options: Green representing the Land of Ireland and Blue representing the Atlantic Ocean. 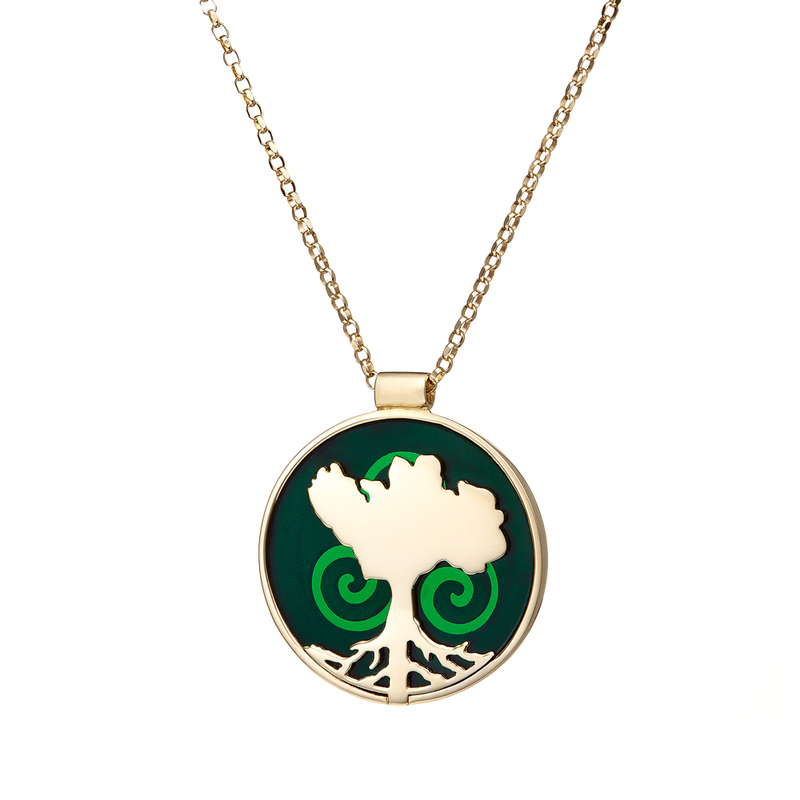 The pendants are hallmarked – 14ct gold (other gold alloys available on request e.g. 9ct etc.) – in the Assay Office at Dublin Castle and a story card explaining the meaning of the pieces comes with each piece purchased.